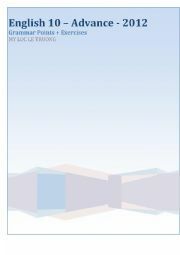 Everything about Reported Speech. I hope it is full and useful. 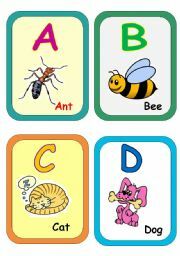 These flash cards can be used in the game "Who is the fastest snatcher". Teacher calls out one letter and students, working in groups, try to grab it as quickly as possible. The winner is the person who has the most cards. 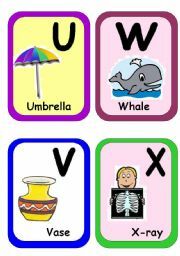 These flash cards can be used in the game "Who is the fastest snatcher". 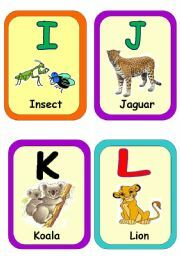 The last part of the alphabet. 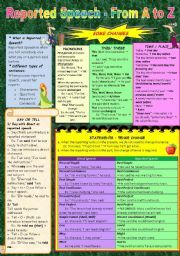 I hope with the game "Who is the fastest snatcher" you can help your students revise the alphabets and bring laughter into your class. It includes the theory and practice of using modals in the present and past. Hopefully, its useful. 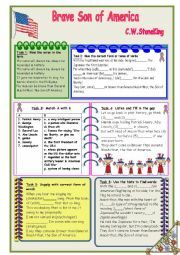 Song about General MacArthur with multi-tasks for students to do. 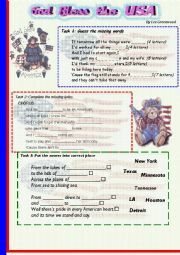 Thanks the ESL teachers for the template and clip arts i used. 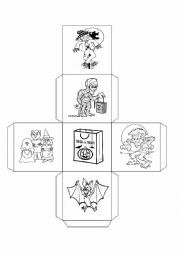 Kids decorate and then make their halloween dice by themselves. This kind of test is for Class Superkids . It helps student to recognize the words of actions or food through pictures.